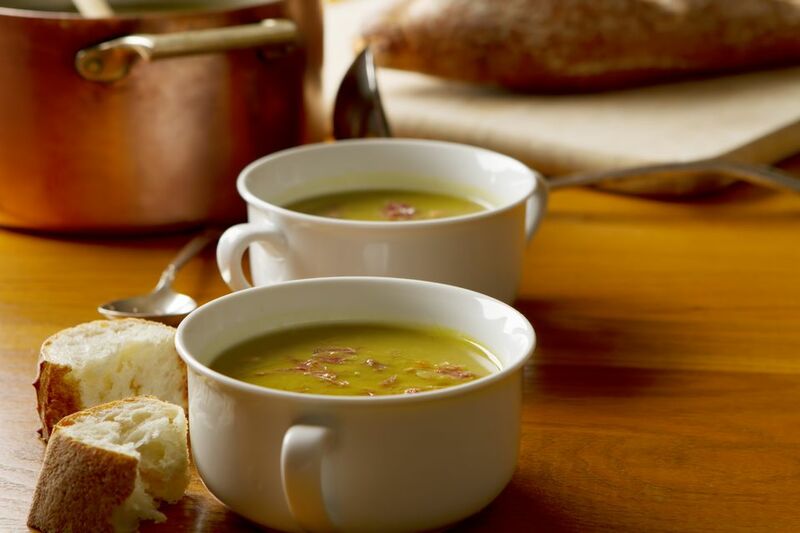 This easy to make and healthy soup is especially nice to serve for a fall or winter family or Shabbat dinner. Dunk fresh bread or challah into it. Follow this simple, nourishing soup with a savory mushroom and onion omelet or a wrap sandwich. Carry the comfort food theme through dessert with these dairy-free oatmeal raisin cookies with chocolate and nuts. In a large stockpot, heat the oil over medium heat. Add the onion, garlic, bay leaf, celery, and carrots, and saute until the onions are soft and translucent about 6 to 8 minutes. Add the split peas, lentils, and water. Bring to a boil, reduce heat to low, and simmer, stirring occasionally, for 40 minutes. Stir in the parsley, salt, pepper, basil, and thyme. Cover and simmer, stirring occasionally, for 20 to 40 minutes, until the peas are falling apart and the vegetables are soft enough to mash. Remove the bay leaves. Using an immersion blender, puree the soup until smooth. Or let the soup cool a bit and pour it in batches into a stand blender and pureé.